#Tagamanent #Catalonia: The #Moli under eviction threat. The Moli remains! 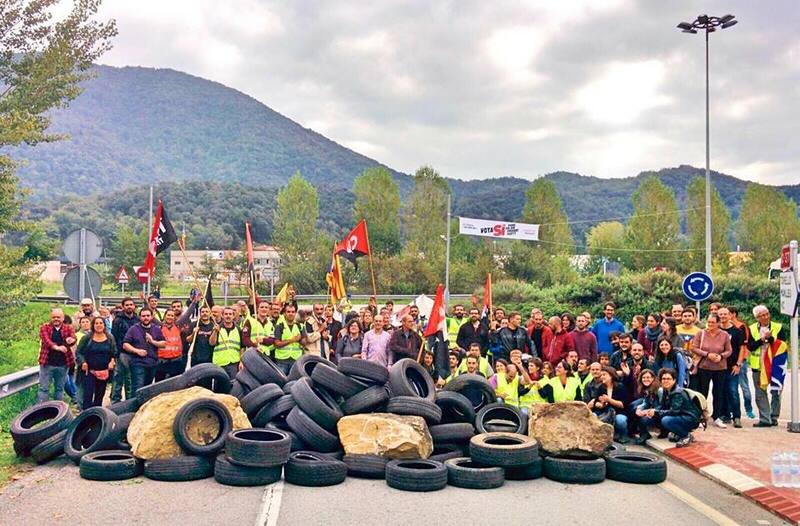 Continue reading #Tagamanent #Catalonia: The #Moli under eviction threat. The Moli remains! 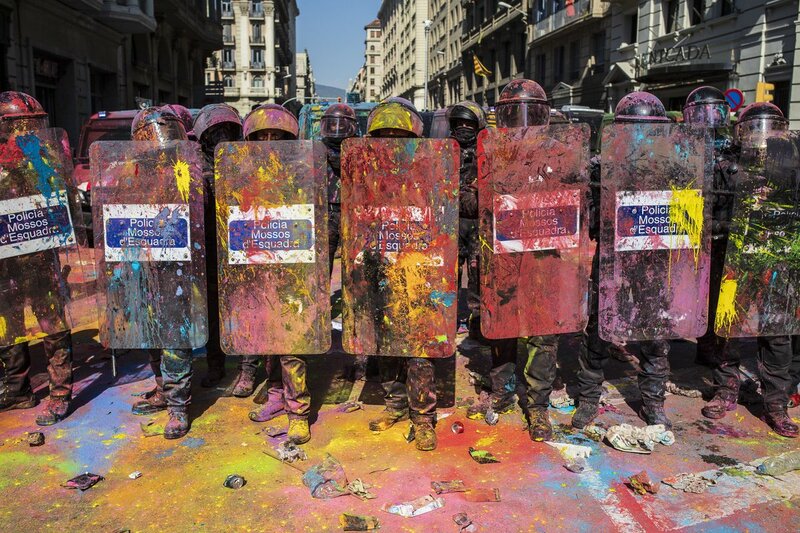 On September 29 Catalonian pro independence and antifa activists wer attacked cops during counter protests against an event by Jusapol (Spanish National Police and Guardia Civil Union) to celebrate the police violence during last years independence referendum. All Colors Are Beautiful! 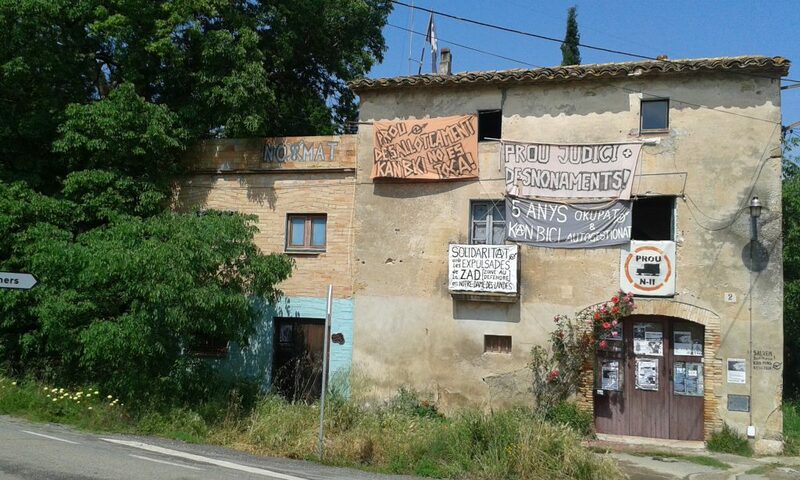 Galliners, Catalonia: On Thursday 10th of May ther Kan Bici squat was evicted. 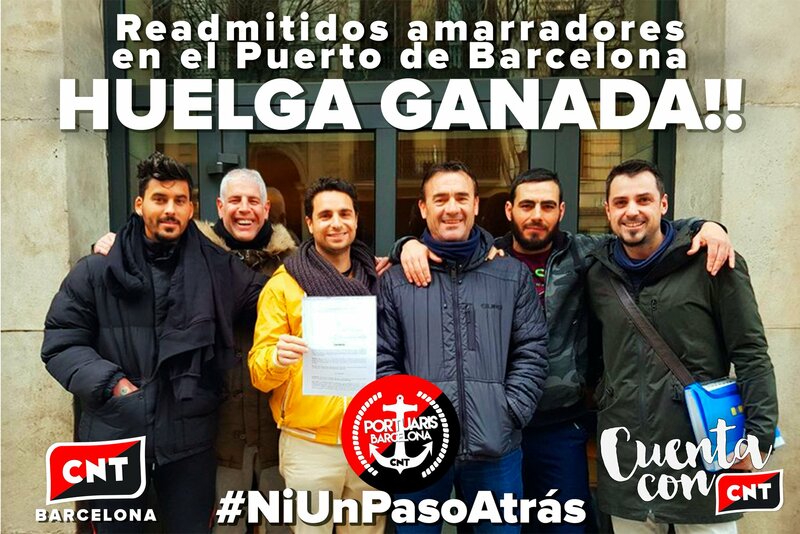 Tags: Catalunya, Galliners, Kan Bici, Resiste! Catalan-Balears CNT: The “Catalan problem” is actually all of Spain’s problem. 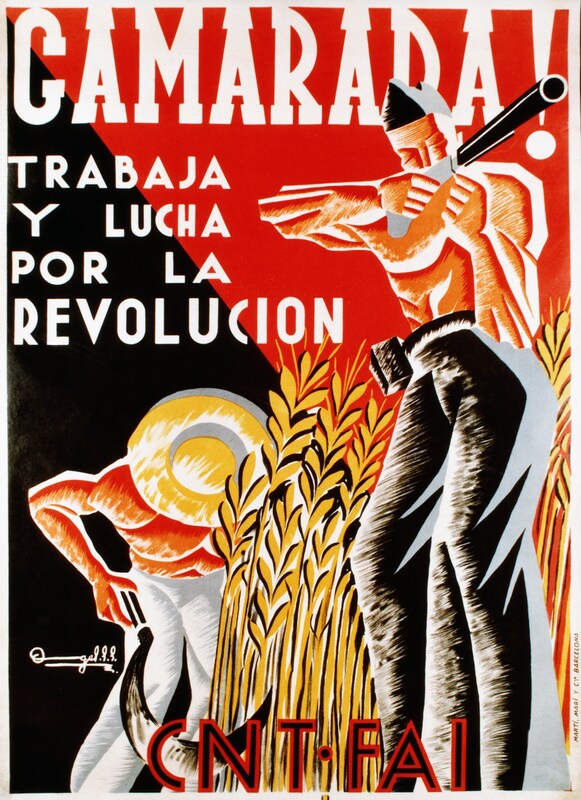 It’s a unique opportunity to overturn the “Regime of ’78”; we are the only ones that have the legitimacy speak against this regime. We were the only ones who didn’t sign their conciliation treaties, and we are the only ones who never stopped denouncing the pseudo-democratic mafia which has been governing us for the last 40 years. Last night the Ateneu social center was attacked by fascists. 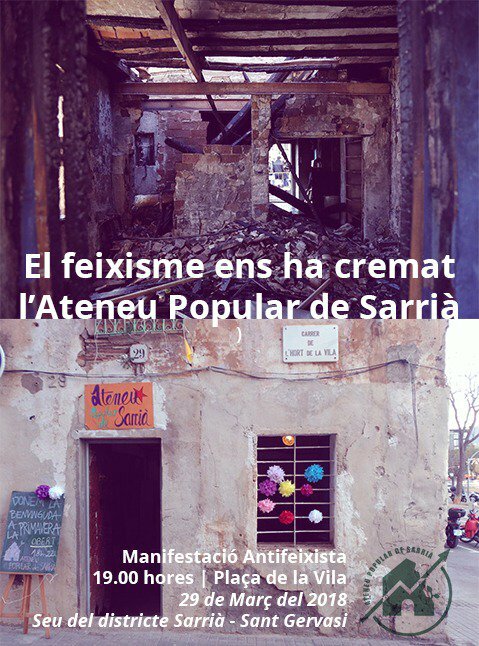 The social center was attacked several times before, but the attacks intensified since the referendum on Catalan refendum at the first of October (2017). Statement by the CNT branch of Catalonia & Baleares on the ongoing state repression. 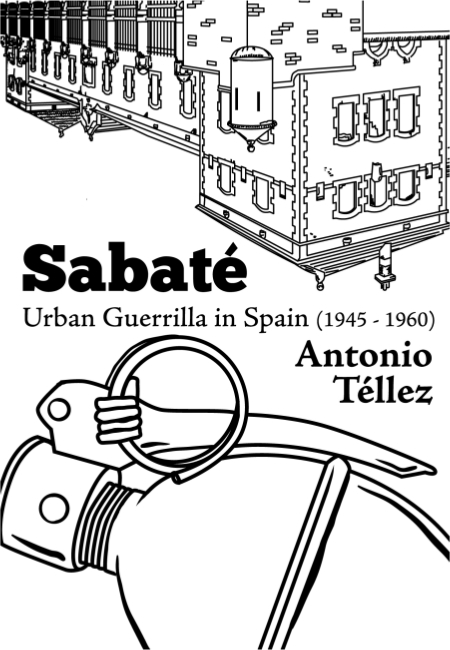 This Free book by Antonio Téllez tells of the life, the action, and the death of one of the best-known of all the Spanish resistance fighters: El Sabaté! Introduction by Alfredo M. Bonanno. Tomorrow there will be elections in Catalonia. 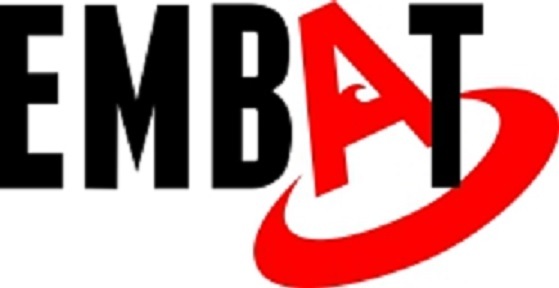 On Novermber 20 we spoke with Aitor Tarradella of Embat.